Snowberry is a dominant shrub in many areas of the Colorado mountains. 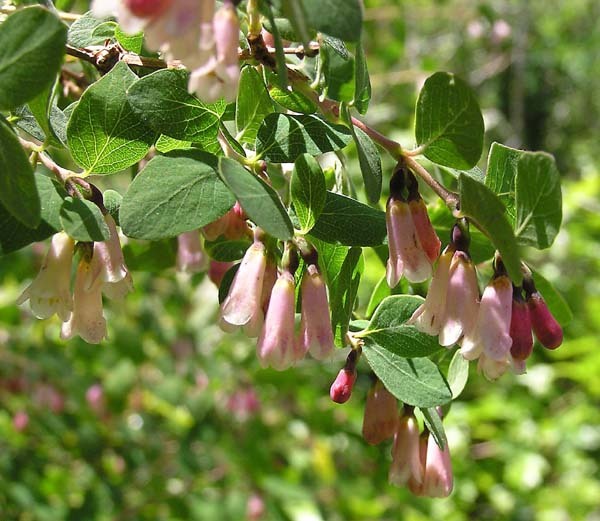 It grows three to five feet tall and wide and covers large areas of the forest, especially under Aspen canopies. Symphoricarpos rotundifolius was first collected for science by Charles Parry in Colorado and was named Symphoricarpos oreophilus by Asa Gray in 1873 and then renamed Symphoricarpos rotundifolius by Marcus Jones in 1895.